The Enugu State Government has spent N100 million to renovate and expand facilities at the permanent camp of Rangers International FC in Enugu. The state Commissioner for Youth and Sports, Charles Ndukwe, made this known to the News Agency of Nigeria in Enugu on Tuesday. NAN recalls that the camp was previously inhabitable due to decades of neglect of the facilities housing dozens of players and technical crew of the club. Ndukwe said the camp had been given a facelift with additional facilities such as gyms, training pitches and water reticulation. He said there were additional structures to the existing ones that had been fully renovated and modernised to meet contemporary camps anywhere in the world. The commissioner noted that the state government tarred the road leading to the camp and lit up everywhere as well. Ndukwe said: “This renovation and expansion, including many other gestures extended to the club, shows the unwavering commitment of Governor Ifeanyi Ugwuanyi to the well-being and success of Rangers FC. “He is even ready to do more for the club as far as meeting the target of getting a trophy and earning a continental ticket this year is concerned. “We are praying and we are optimistic that Rangers will do both the government and people of Enugu State proud this year. 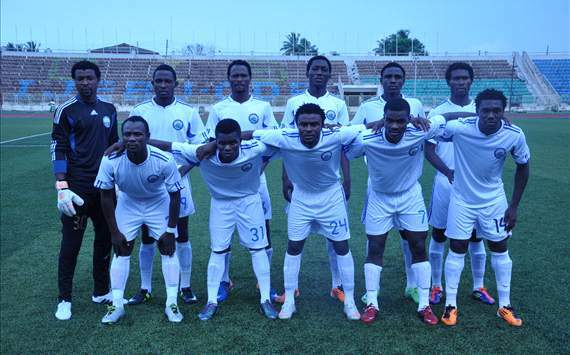 Rangers are currently third on the 2015/2016 NPFL table with 35 points from 21 matches.